For the first time in more than a thousand years, a service will be held today within the boundaries of a newly-discovered church on Holy Island in Northumberland. The excavations, led by Richard Carlton of The Archaeological Practice and Newcastle University, began around a fortnight ago and will finish at the end of this week. 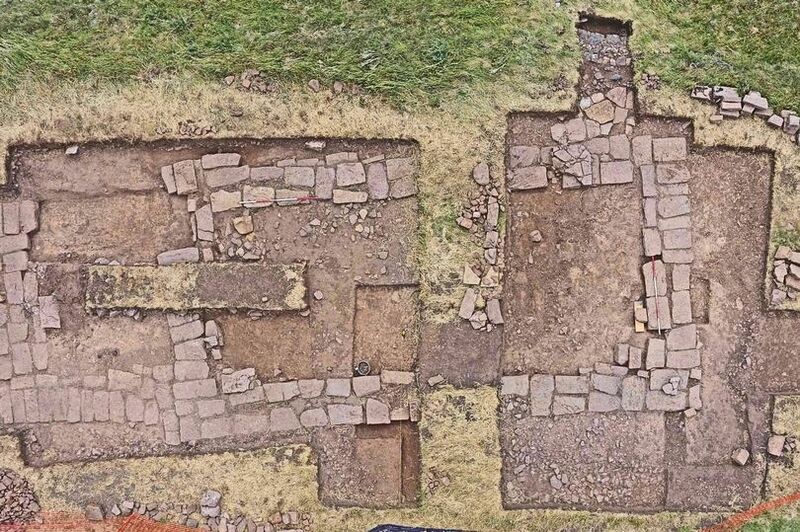 The community archaeology project is part of the Peregrini Lindisfarne Landscape Partnership project, which is backed by the Heritage Lottery Fund. Archaeologists say pre-Roman Britons who lived in a rural location since the 4th Century BC may have enjoyed Mediterranean oil and wine. Radiocarbon analysis of a dig site showed there was a settlement at Ipplepen, Devon, for about 1200 years longer than previously thought. The discovery of Roman pottery suggests there was a community trading widely with the Roman world. 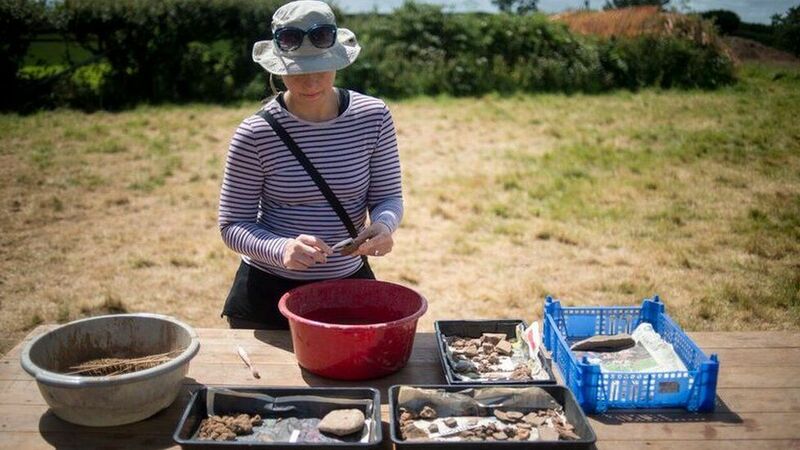 University of Exeter archaeologists are digging at the site this month. 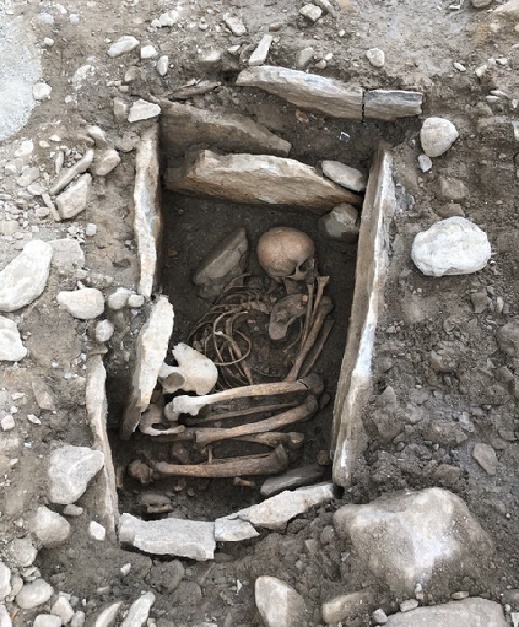 The remains of ancient villages dating back to 5,500BC have been discovered on a construction site in Sion in the Valais. 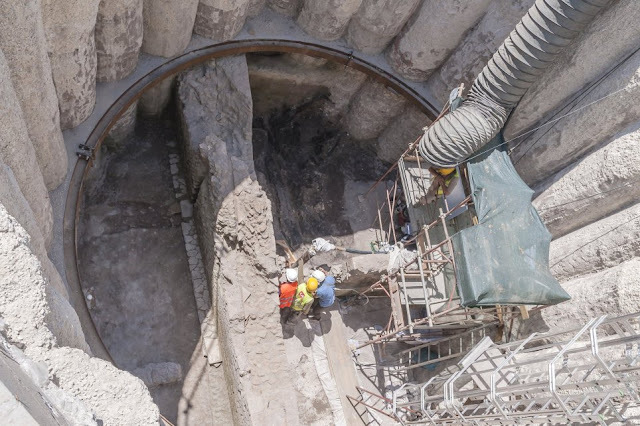 The find was made by archaeologists during building work on the site of the the Arsenaux cultural centre in the city, Sion authorities said in a statement on Thursday. The archaeologists uncovered evidence of human habitation, including graves and the remains of houses, which date back as far as the Neolithic period (5,500-4,800 BC). Construction work at the site – intended to be a new centre for the city’s archives – has been suspended until in mid-September so archaeologists can carry out their work. 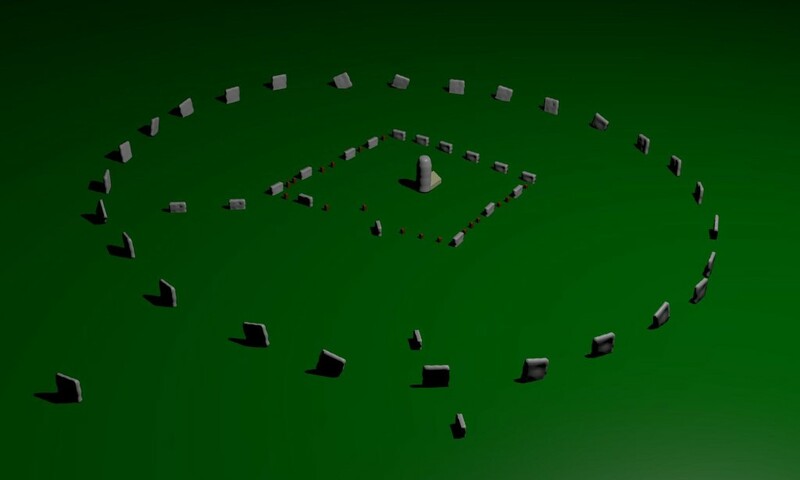 A model of the inner square at the Avebury Neolithic stone circl. Radar technology detects inner stone structure thought to commemorate Neolithic building dating to 3500BC and a focal point for Neolithic communityA mysterious square formation has been discovered within the Neolithic stone circle monument at Avebury, rewriting the narrative of one of the wonders of the prehistoric world. Archaeologists believe the hidden stones, discovered using radar technology, were one of the earliest structures at the site and may have commemorated a Neolithic building dating to around 3500 BC. Digging for Rome's new subway has unearthed the charred ruins of an early 3rd-century building and the 1,800-year-old skeleton of a crouching dog that apparently perished in the same blaze that collapsed the structure. Archaeologists on Monday said they made the discovery on May 23 while examining a 10-meter (33-foot) -deep hole bored near the ancient Aurelian Walls as part of construction work for the Metro C line. "A Pompeii-like scene" was how the Culture Ministry described the findings that evoked comparisons to the inhabitants trapped by the 79 A.D. Vesuvius volcanic explosion and preserved for centuries in the ruins of Pompeii. À Thonon-les-Bains, en Haute-Savoie, une équipe de l’Inrap étudie, sur une surface de 1 400 m², un atelier de potier de la seconde moitié du Ier siècle de notre ère qui s’insère dans un quartier artisanal situé au sud-est de l’agglomération antique de Thonon. 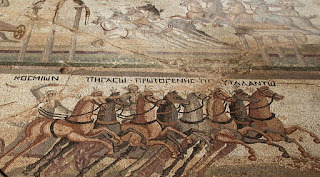 Scenes from a chariot race are depicted in a rare Roman mosaic found in rural Cyprus. Dating from the 4th Century AD, it lies in Akaki, a village not far from Nicosia. 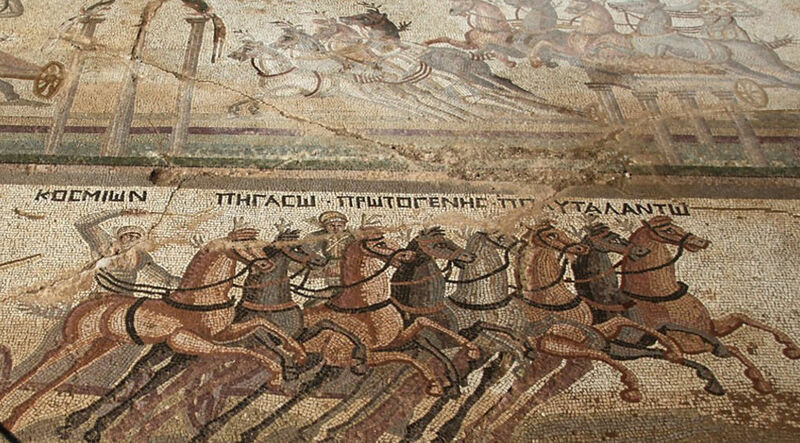 Only nine similar mosaics - showing a hippodrome race - have been found at ancient Roman sites. The ornate 26-metre-long (85ft) mosaic was probably part of a wealthy man's villa. The excavation is led by archaeologist Fryni Hadjichristofi. Skeletal evidence shows that, hundreds of years after the Roman Republic conquered most of the Mediterranean world, coastal communities in what is now south and central Italy still bore distinct physical differences to one another -- though the same could not be said of the area around Rome itself. Using state-of-the-art forensic techniques, anthropologists from North Carolina State University and California State University, Sacramento examined skulls from three imperial Roman cemeteries: 27 skulls from Isola Sacra, on the coast of central Italy; 26 from Velia, on the coast of southern Italy; and 20 from Castel Malnome, on the outskirts of the city of Rome. 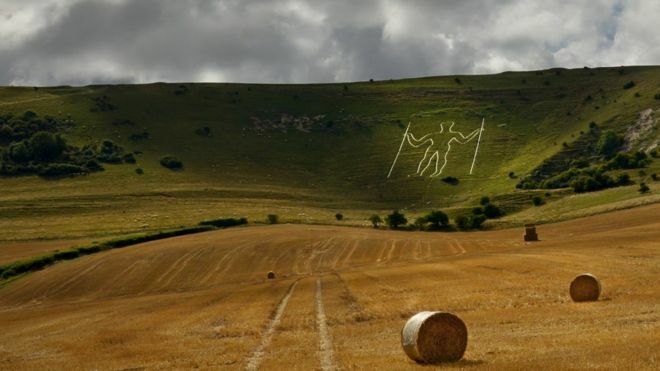 Hill figures, emblazoned like scar tissue across England's undulating landscape, hark back to times when gods were honoured and appeased by grand gestures. Although horses - and some well-endowed giants - are perhaps the most well-known hill figures there are also some more unusual creatures and carvings. A lion stands proudly in Bedfordshire. A kiwi in Wiltshire is a testament to the homesick New Zealand soldiers once stationed nearby. Here are the stories behind some of the enormous symbols which have become part of the country's very fabric. 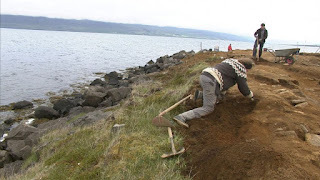 Archeologists working at a dig in Eyjafjörður fjord in North Iceland have announced they have discovered a shield, human bones and two spear points from two of the boat burials. Previously they had uncovered the bones of what appears to be a Viking chief who was buried with his sword and dog at the site. The dig has barely started. Four of the graves have yet to be explored at all, and more could still be discovered at the site. According to the Icelandic National Broadcasting Service the artifacts found today came from two separate boat burials. The spear points were recovered from a burial which has been badly eroded by the ocean. The waves have already washed away half of the boat, and any items it might have contained. Bryn Celli Ddu, a Neolithic passage tomb on the Isle of Anglesey. When archaeologist Geir Grønnesby dug test pits at 24 different farms in central Norway, he nearly always found thick layers of fire-cracked stones dating from the Viking Age and earlier. Carbon-14 dating of this evidence tells us that ago, Norwegians brewed beer using stones. There’s nothing archaeologists like better than piles of centuries-old rubbish. 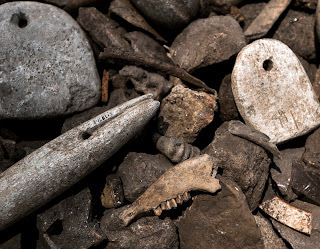 Ancient bones and stones from trash heaps can tell complex stories. And in central Norway, at least, the story seems to be that Vikings and their descendants brewed beer by tossing hot rocks into wooden kettles. “There are a lot of these stones, and they are found at most of the farmyards on old, named farms,” says Geir Grønnesby, an archaeologist at the Norwegian University of Science and Technology’s University Museum. Yesterday archaeologists discovered a second boat burial at an archaeological site at Dysnes ness in Eyjafjörður fjord in North Iceland. On Tuesday a burial site where a Viking age chief was buried in his boat, along with his sword and dog had been discovered. 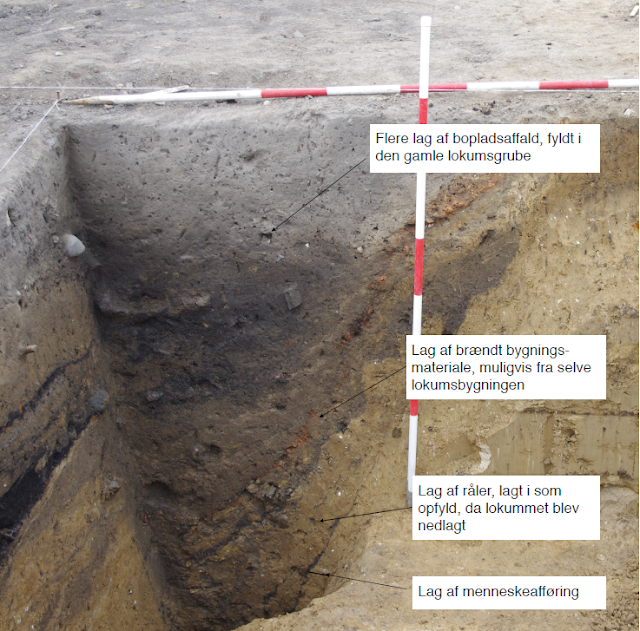 Two other graves dating to the Viking Age have been found at the site. Archaeologists working at the site are optimistic to find more, as the dig has only just started. Archaeologists working at Dysnes have now found four different Viking age graves at the site. Two were boat burials. An archaeologist working at the dig told the Icelandic National Broadcasting Service RÚV that they expected to find more. "Everywhere we stick a shovel into the ground we seem to find something". WAVES The advancing seas are eroding beaches along Iceland's coasts and imperiling archeological remains that have not yet been researched. Photo/Vísir. Archeological remains of great cultural value are in danger of being washed away by coastal erosion on many of Iceland's shores, according to the Ministry of Education, Science and Culture. An MP for the Left Green Movement warns of an impending "cultural disaster" due to a lack of financing for their preservation. Documenting and preserving the remains might cost hundreds of millions of ISK, according to an official estimate. In a written response to questions from MPs in the Icelandic parliament, the Minister of Education, Science and Culture, said that the ministry was aware of a number of places around the country where valuable remains were in danger of being lost. However, the Cultural Heritage Agency of Iceland has only documented around a quarter of the remains that are protected by law due to their age.